So, let’s just get right to it. Have you heard the term, permission based marketing? Although this rule itself might sound a bit self explanatory, we want to dig in a little bit deeper. 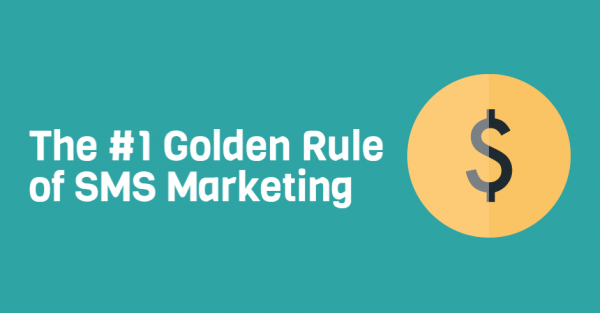 Why exactly is permission based marketing a governing SMS marketing principle? Read on for two easy to understand examples. When it comes to SMS, the permission based marketing standard will not allow you to collect personal numbers without the owner’s consent. You simply cannot add random digits to your list, as this is unethical and technically, illegal. With that said, you can manually add numbers to your list, as long as you have written consent. For example, let’s say you send an email to your mailing list, detailing the basics of your SMS program. One person replies to the email, and says “Can’t figure out how to join! Can you just add my number to your mobile rewards list?” That is a perfect example of written, expressed consent. On the flip side, let’s say you’re connected with this same customer on Facebook. They receive your email, but don’t join your SMS list, or even reply. On Facebook, you see that they’ve posted their personal cell number in their About section. Can you assume that since their personal cell number is public information, you may add them to your SMS list? Absolutely not. Although these circumstances may be slightly similar in nature, it’s obvious which one followed the permission based marketing standard, and which did not. Join forces with the top SMS marketing provider, Slicktext.com. Give us a call today at 1.800.688.6290 to learn more, or hop over to the pricing page and sign up for your free plan. We offer a feature rich platform, packed to the brim with educational tools that empower you, the new SMS marketing user and small business owner, to succeed.